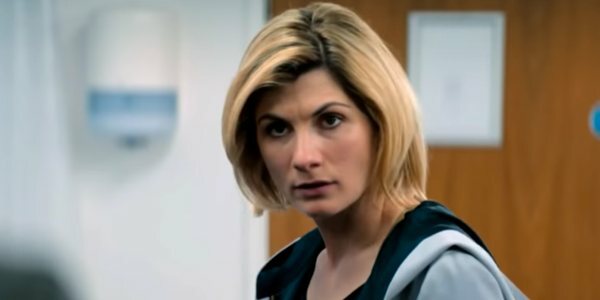 Do I have opinions on Jodie Whittaker’s first outing as Doctor Who? Why, yes, I do. Possible spoilers within. Oh, you wanted more? Yeah, I have more opinions, which I’ll break down into some simple bullet point thoughts. 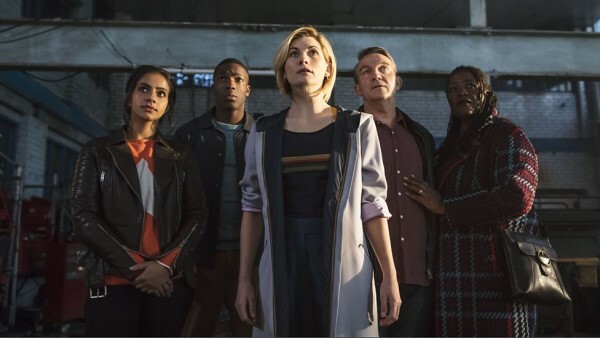 Jodie Whittaker’s performance was simply lovely; a great mix of authority when needed, alien “otherness” to define that she’s part of the continuity and just a deft touch of comedy here and there. I love the fact that one of the new companions has a disability, because it so beautifully plays into the inclusive nature of the Doctor Who universe… with a caveat, that I’ll get to shortly. Nice to see a story not set in either London or Cardiff for a change. Though I am left wondering if it was actually shot in Sheffield. I have my doubts (without doing any research whatsoever). Longer episodes were always a risk, but this didn’t feel like it was stretched, or outstayed its welcome, especially for what was essentially a simple story. Regeneration stories have a mixed history; for every Caves of Androzani there’s all too often a Twin Dilemma to follow. I didn’t love Capaldi’s last outing, but The Woman Who Fell To Earth felt like a really solid, highly enjoyable bit of classic Who that should stand the test of time. Good family viewing, too. I watched with my kids, and they were riveted. Not literally, mind you..
As noted, I love Ryan’s character… as long as his dyspraxia doesn’t become a writer’s lazy “out” to create peril in a given story. Yes, of course it will come up, but if it’s always going to be the way that danger is created (or only narrowly averted) it’s going to become problematic, I think. What was the exact timeframe of the episode? The problem I have here is one of scale, and particularly around how long the Doctor had to make her Sonic Screwdriver. It’s one night, right? So she’s got time to smelt down some spoons, cool them, form them, build everything… and do everything else that happens at nightime during the episode? It felt slightly off-pace to me as a result, but this really is a minor nitpick. Still, I had a lot of fun with this one. Onwards to The Ghost Monument! Sheffield exteriors were indeed Sheffield. Also loved it. Crane scenes showed Moffat how Tintin movie should have done it. Ditto on the sonic screwdriver thing. The inference is that it takes her as long to build (and smelt!) a new sonic as it takes Ryan to inspect a one minute video file. (He discovers it before she starts, alerts the others to it just after she finishes). That felt lazy in an otherwise good ep.